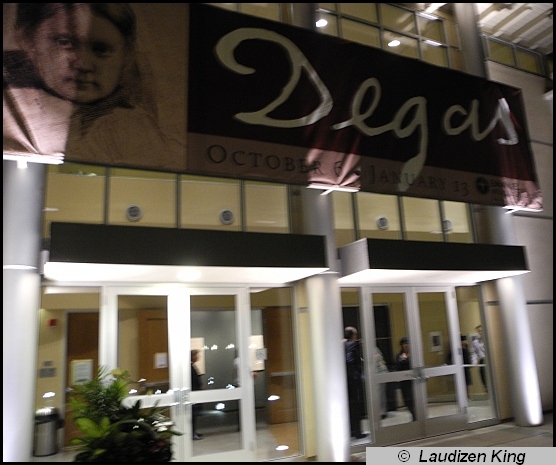 On October 5, 2012, Shirley and I had the distinct pleasure of attending the Gala Preview of “Edgar Degas, The Private Impressionist, Works on Paper by the Artist and His Circle”, at the Carnegie Arts Center in Turlock, California. The exhibit, which runs through January 13, features more than 100 works on paper and includes sketches, drawings, photographs, prints and pastels. 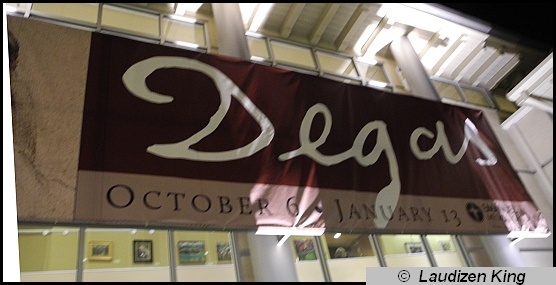 In regards to Degas’s growth as an artist and a man, a description accompanies every work and allows the viewer to place each piece in its relevant creative context. 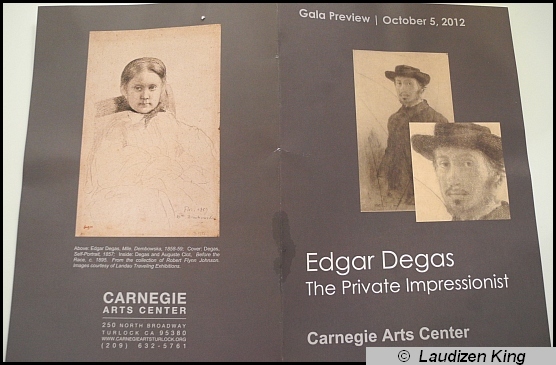 The exhibit also includes the work of several Degas contemporaries, such as Mary Cassatt and Paul Cezanne, and deftly shows the influence that Edgar Degas had on the artists of the day, and the influence that they all had on each other. Turlock must be proud to host such a thorough and well-constructed exhibit. Residents of the area should avail themselves of this wonderful opportunity to see and feel the personal growth of a great artist for in doing so, they also support an important local art center that is a credit to the community it serves.